The new principal of De La Salle North Catholic High School is a longtime educator, a father of five and a grandfather. Tim Joy, 55, has served as interim principal for a year and was a teacher at the innovative North Portland college prep school before that. De La Salle North serves low-income students in North Portland and surrounding communities. Tuition is kept low because students work one day per week at local businesses, with their pay offsetting the costs of education. The school just marked its 10th year. Joy was born in Portland and graduated from La Salle Prep in Milwaukie in 1975. He attended St. Mary’s College of California in Moraga where, for more than two years, he was in formation with the Lasallian Brothers and cemented his belief in Lasallian education. 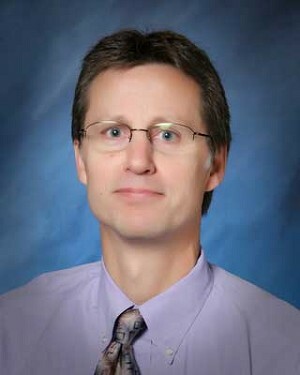 He transferred to and graduated from Portland State University and began his teaching career at La Salle Prep in 1983, where he taught full-time until 2001. In 2001, he began splitting his time between La Salle and De La Salle North Catholic. He accepted the full-time position of vice principal of De La Salle North in 2002 where he also taught English, religion, and systems dynamics. Joy also has worked as a consultant for the Waters Foundation. He is married to Kim. Almost 40 percent of students at De La Salle North are African American. About a quarter are Causasian and 15 percent are Hispanic. Almost two thirds are not Catholic. More than 60 percent qualify for free or reduced-cost lunches.